My research field, design for social impact, is where the world of design creates instruments and services for society. Because design shapes all artefacts in our world, designers must also provide tools with which people can express political action and support. I am trying to bridge the gap between the citizen and institutions. People feel disaffected from political parties because parties often don’t carry out their campaign promises. Teenagers are particularly disenchanted: they act only when political actions affect them and their schools, and politicians don’t speak in a way which they can relate to. 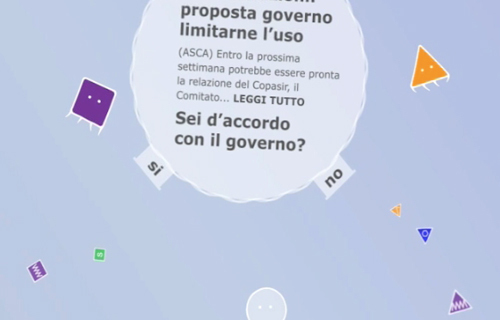 A better way to represent politics to teenagers and young people: a game where opposite ideas are clear but where, through a kind of dialogue/play, they interact harmoniously for the common good. 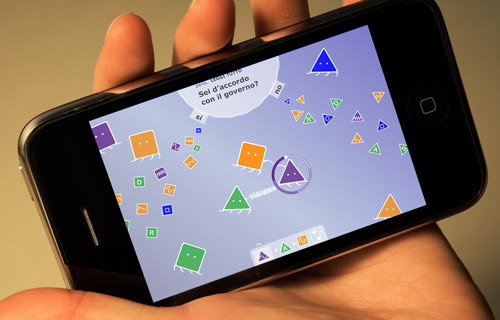 From this research comes Demo, a videogame for touchscreen smartphones such as the Apple iPhone. 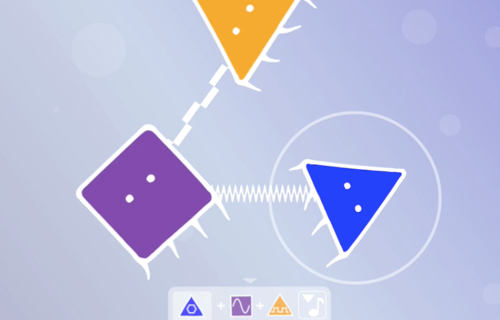 Demo is a musical videogame—inspired by Reactable, the music-making software and hardware—that uses procedural rhetoric (from Ian Bogost’s theories, a rhetoric that uses the game’s own mechanisms for its persuasive effects) to educate users to the necessary coexistence of different ideas in society. Its input is press agencies’ political bulletins, and the opinion polls that an editor creates from them. 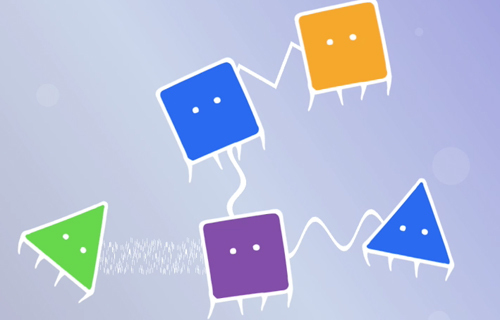 The player responds to the polls by choosing between two springs of musical “power-ups”, agreement or disagreement represented by avatar “creatures”. Those power-ups allows you to play music composition with other gamers. Your political answers affect the shape of your creature, but not your interaction capabilities: the result is a melting pot of avatars that play together, everyone becoming more aware of news releases and the fact that many people simply think differently. You can post a link to a video or to an article on the web if you catch a proper power-up. In this way you contribute to the community’s cognitive capital. You can read the report here or download it here.